Markings go all the way down from the top of his hair, to the buttocks. White on the tip of his tail. Three white stripes on his ankles of all his legs. 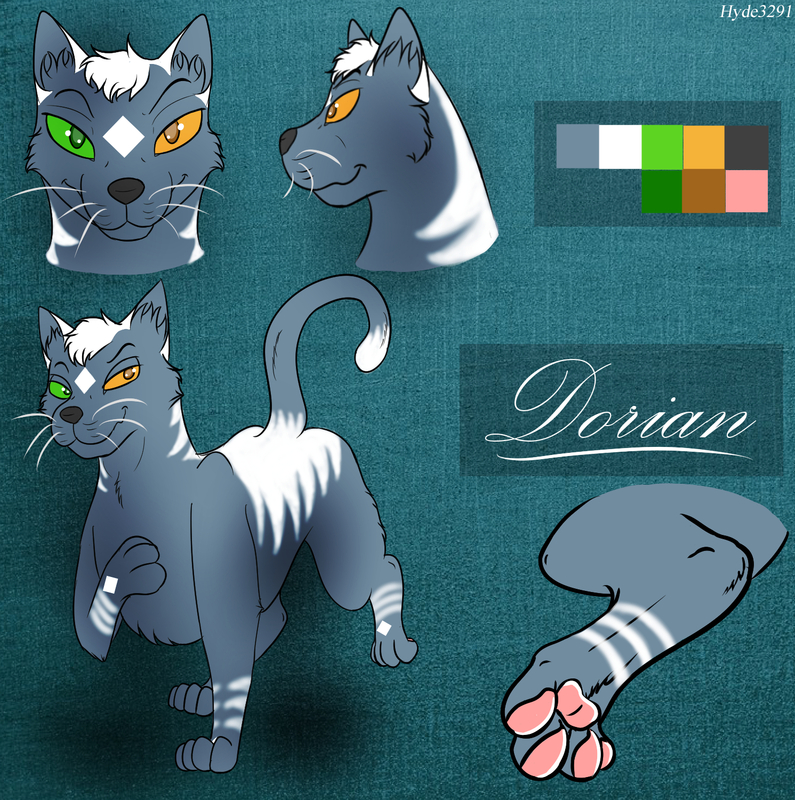 Has a rhombus (diamond) shape on his forehead, and on the top of all 4 of his paws. Can be friendly, but also rather vain. Always looking to impress or look his best for all to see. Very keen on appearances. Usually has friends around him, despite his attitude. Can have a big head at times, friends usually bring him down to earth when he does. Is able to be humble when he can. Handsome males, and looking handsome. Not being in the center of attention. Despite being vain, he respects others, mostly his friends. Won't go for large animals. *Please ask for permission if you'd like to use him in a drawing. Do not duplicate or steal this character.